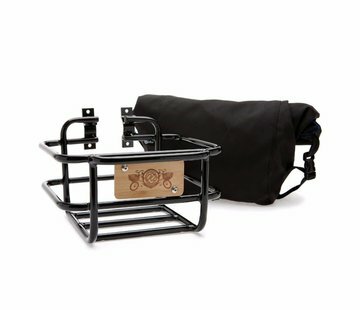 The PorterPack adds roughly 29 liters (1764 cubic inches) of cargo carrying capacity when used along with the front mounted PorterRack (sold separately in black and silver). 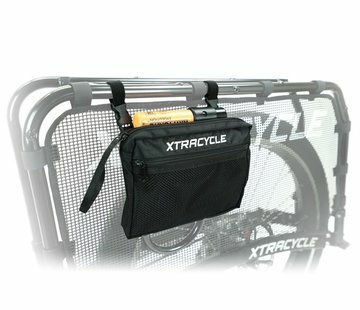 Perfect for those riders looking to add more carrying space up front when the bike is loaded with kiddos in back, or for riders wanting to add more haul to their ride. With a new, simplified interior and attachment system that allows you to use the rails on your PorterRack, this PorterPack allows you to carry cargo with ease. 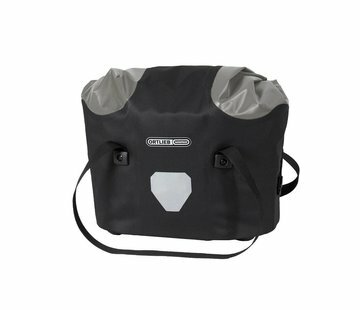 If you are looking for front storage with more internal structure and pockets, check out our PorterPack in Silver. 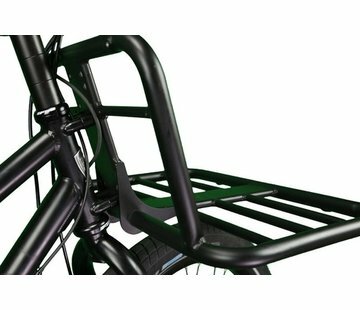 Not sure if your bike is compatible with the PorterRack and PorterPack? Your head tube needs four rack mounting points. If your EdgeRunner has these, your bike is compatible. Still not 100% sure? Drop us a line and we can help you determine if the PorterPack is right for your ride. 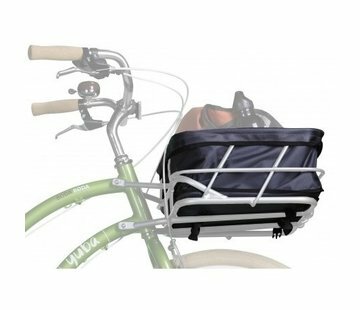 Take your cargo carrying to the new FRONTier with this versatile front cargo bag.